I feel off schedule this week although lately that’s really nothing too new when it comes to my blog. Just pointing it out again for anyone wondering why I am posting less. It’s not like I don’t notice like you do! There’s no particular reason really, I think it’s a combination of being busy writing for work combined with not thinking to take many pictures which leaves me very little to work with here. Oh and also! I’ve been chatting early each morning on the phone with my friend Lisa which used to be my writing the blog time. I’ve got a few favorites ready though so I figured I should share them today rather than wait until tomorrow! While the week isn’t over, Monday’s run was really nice because the weather felt like fall BUT Tuesday’s 50 minute Pure Barre workout (focused more on abs which really means intense everywhere) was pretty great too. I hadn’t done this particular Pure Barre workout in some time now and it was one of my favorites. This is the one where you push the ball into the wall to work triceps – leaves me sore every single time. I’m really annoyed at myself for missing a picture of the chocolate gelato that I had yesterday in Chelsea Market but I also liked this salad so I will call it my favorite from the week. I wonder if I will grow tired of eating so many salads once it’s really cold outside? I’m thinking no, but who knows. Once again, I am obsessed with everything Bailey 44 right now! EVERYTHING. And the best part is, the Bailey 44 site is offering 30% off right now which is even better than the 25% off that starts on Monday at Bloomingdale’s! To be honest, I couldn’t resist this top in the black when I was in Bloomingdale’s so I already bought it. I’m going back for the price adjustment. If you like it in the picture, you will like it even more once you put it on. I also want this lace up the back blouse in the white but maybe the black is nice? Love this boyfriend shirt and love this velvet top too! Okay one more – I like this style for a turtleneck because then you don’t feel so closed in. If I have to tote my laptop with me, at least I like my bag. 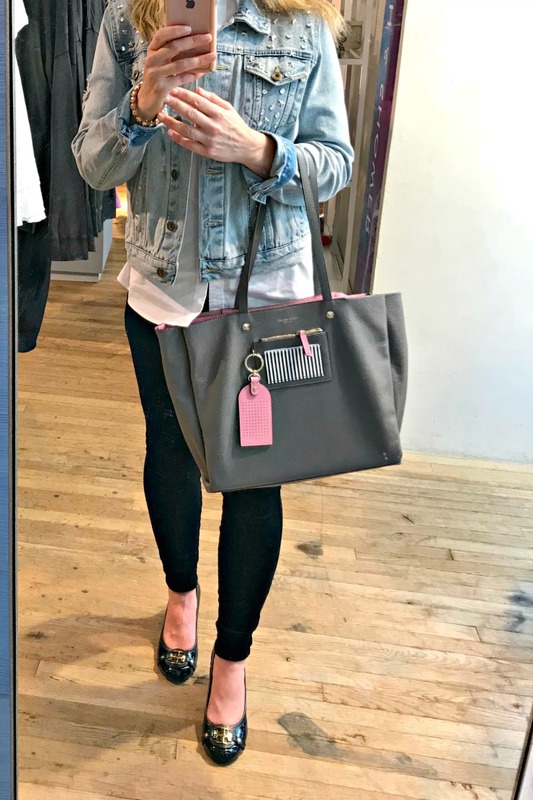 While Henri Bendel doesn’t have this exact style anymore, they have an updated one for this year which still fits the laptop and might even be nicer than mine! P.S. I need the cute pins for the tag. I know. It’s on my list. My jean jacket is by Sunset & Spring – it’s last season’s jacket but they have this one out right now. 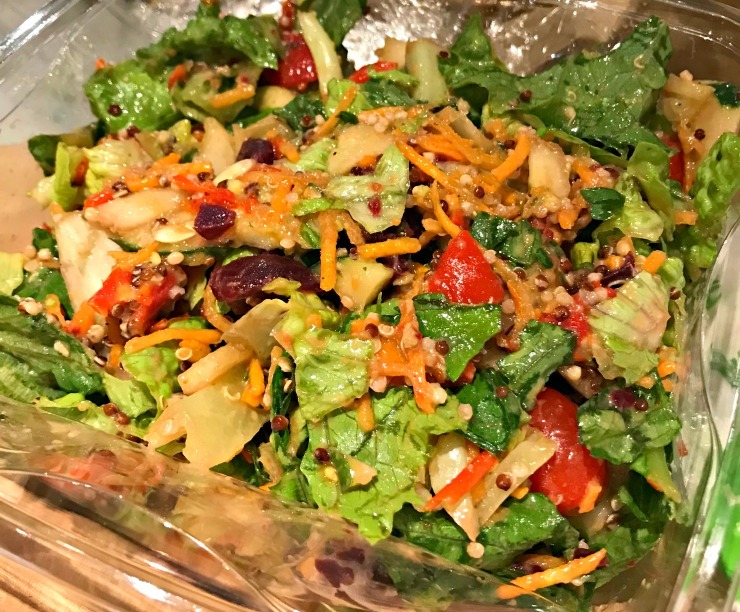 Do you tend to shy away from salads in the winter? Do you like gelato? Favorite flavor? Am I confusing you by posting favorites on a Thursday instead of Friday?! I do tend to stray from salads in the winter. Something about a cold meal in cold weather isn’t appealing to me! I may try to add roasted veggies or other warm components to get me to eat salads this winter. I definitely go through salad phases. Sometimes, there’s nothing better than a fresh salad and other times I would much prefer roasted veggies. I LOVE LOVE LOVE gelato. My favorite is lemon. I had lemon gelato in Cinque Terra, Italy this summer and nothing will probably taste as good as that ever again. I haven’t been to Pure Barre in awhile but I’m trying the new Reform class this weekend! I might have to dust off my pure barre dvds to get back into it! Let me know how it is – I’ve been wanting to try the Reform!